Given the steep rise in outdoor recreation, it is easy to project that visitation to the Middle Fork will double, perhaps even triple, within a few years. We must be ready. 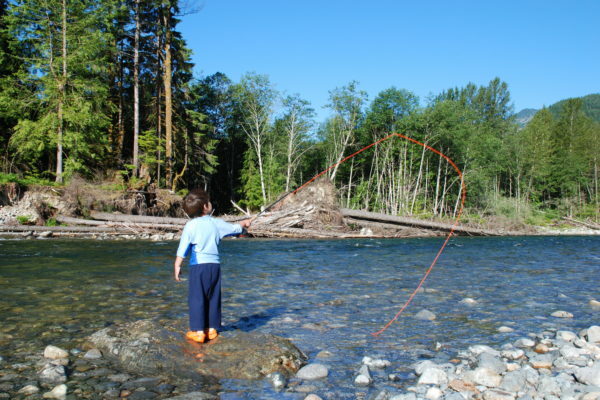 If recreational infrastructure is not ready for the rush, the Middle Fork will bear the brunt. Visitors need trails, parking, signage, and sanitation facilities. If they are not there, the people will come anyway. Without the proper facilities, their impact will take a much greater toll on the land, and we will be playing catch-up and clean-up for years. Funding for management of public lands, which most of us take for granted, has declined precipitously over recent years. Scant funding exists to even manage the lands and services that exist, let alone build and manage the new trails and recreational sites that will be needed. So it falls to us. We as a community have been given this incredible gift – the envy of visitors from all over the nation. How will we take care of it? We can all be a part of a collaborative, lasting solution that will benefit us, our children, and many generations to come. Make a gift to support the Middle Fork Valley. Your contribution helps define the future of this treasured valley.